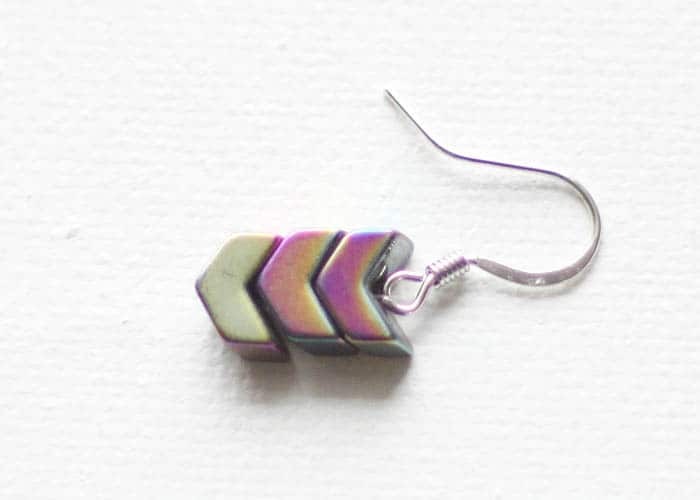 As soon as I found these arrow beads I knew they would be perfect for earrings! 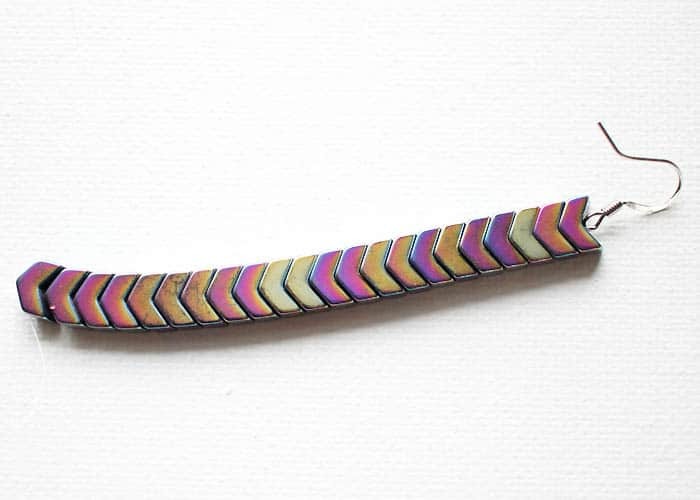 They have a lovely iridescent finish which changes from purple to yellow or blue depending on the light. 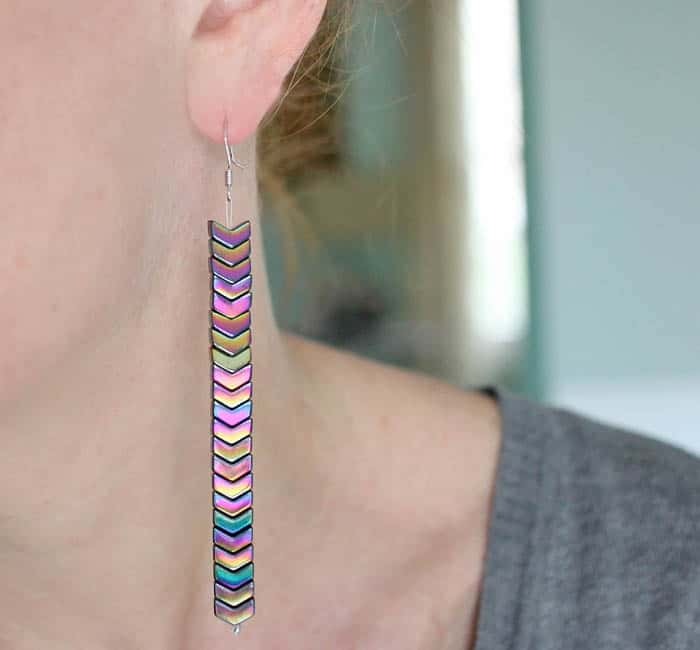 I though a simple dangle earring would showcase these stones nicely. 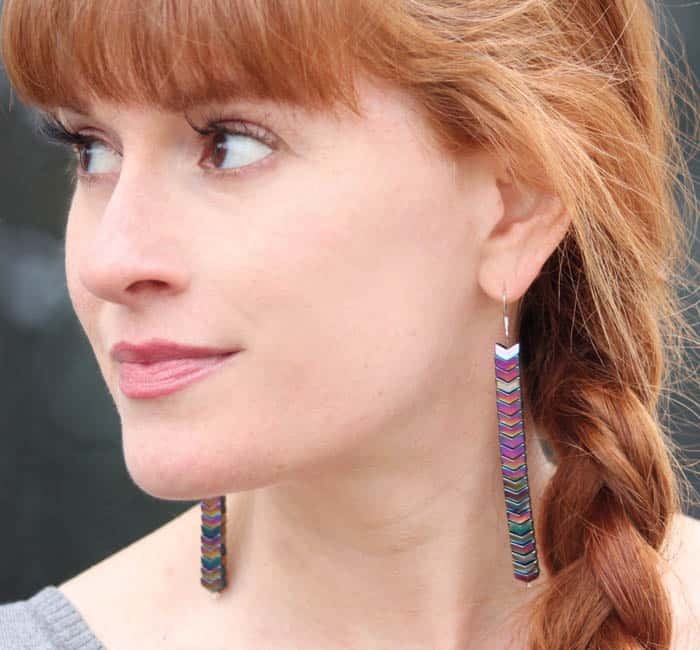 These DIY earrings as so easy to make and they only take about 15 minutes! Cut a piece of bead stringing wire that measures 12 inches long. 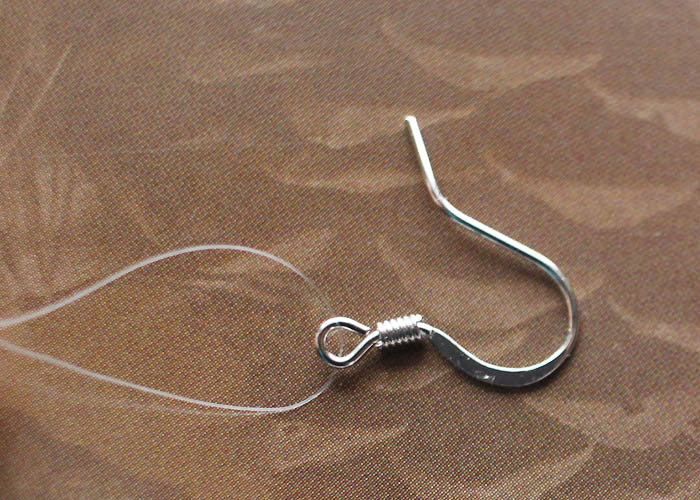 Thread it through the earring hook and pull through so the ends are even. String on the arrow beads through both of the ends of wire. String a clear seed bead on to the end to prevent the beads from slipping off. Knot several times and cut the ends of the wire. striking design. 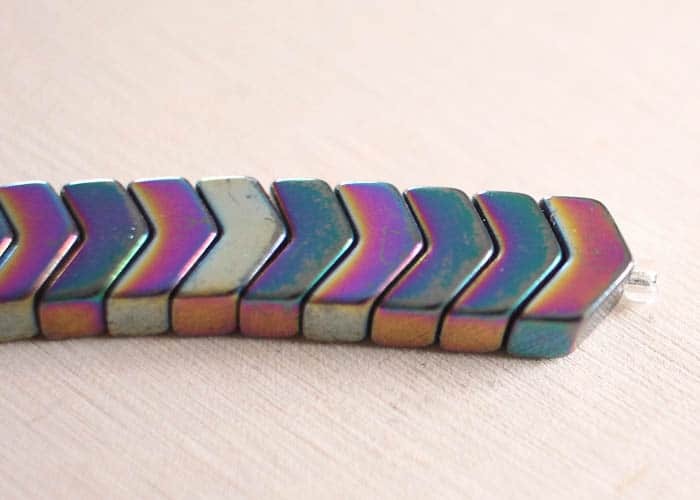 where can I get the arrow beads, have never seen them anywhere. Cute! I like the way that it reminds me of a fishbone from outer space.